The last miner reached the surface at 21.55, the last member of the rescue team at 0.30. Pope's prayer and his rosary beads to the miners. San Jose (AsiaNews / Agencies) - After 69 days underground, the 33 Chilean miners in the San Jose mine have all returned to the surface. The last person to be hoisted with the special capsule through a tunnel of 622 meters was Manuel Gonzalez, a member of the rescue team that had gone down the tunnel to help the miners in preparations procedures for journey to the surface. The end of the rescue operation - dubbed "Operation St. Lawrence" (the saint who is patron of miners) - occurred at 00:30 at night (local time). 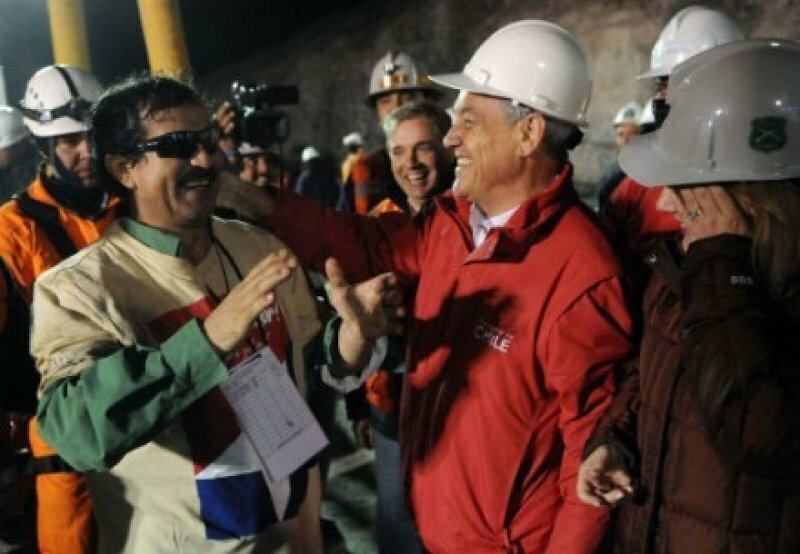 The last miner to be brought to the surface was Luis Urzúa at 21.55, about 22 hours after the start of rescue operations. Yesterday, as already the first miners came to the surface during the general audience, Benedict XVI prayed "with hope for the miners in the Acatama region in Chile." During their long stay underground miners received a rosary from the Pope and built a small altar for prayer. Days before the St. Lawrence operation, Mgr. Alejandro Goic Karmelic, president of the Chilean bishops' conference urged the nation to prayer. In a message he stressed that he saw "the spirit of faith and trust in the God of the miners and their families."